February 4, 2019– A lot of aspiring authors get confused when asked by publishers who their novel is for. It can be tricky to differentiate between middle-grade novels and novels for young adults, so I thought that we would explore that topic today and clear things up. No profanity, graphic violence, or sexuality. Romance in middle-grade novels is limited to first kiss or crush. Focus on friends, family, and the immediate world of the main character and their relationship to it. The characters react to what happens to them with zero to minimal self-reflection. Voice is usually third person. Profanity, graphic violence, romance, and sexuality (except for eroticism) are all allowed thought NOT required/necessary. Age of protagonist is 14-18 BUT NOT yet in college/university. Young adult protagonists can be 14-15 years old for the younger reader, with safer content aimed at the middle school crowd. For older and edgier young adult protagonists, the can be up to 18. Focus on how they fit into the world and what their place is beyond their friends and family. They spend more time discovering who they are and reflecting on the choices they make. They are analytical with the meaning of things. Voice is usually first person. Get some friends together and figure out what you’re going to read. What we did in our group when it came to choosing a book, it was the hostess picks first, then we take turns by birth month. If you have two people who are both born in the same month, the person with the earlier date goes first. It’s pretty diplomatic this way, and it also allows you to read outside of your genre which I’m always harping on! Set a time, date, and timeline. You need to decide how long the book will take to read, how long the book club meeting should be, and when the book club meeting will take place. For example, your book club could take place every third Tuesday of the month, the discussion is an hour long, and the book needs to be read in a month. It’s easy when you have a schedule to abide by. Choose a location. Again, what we did, was give each person a turn to host the book club in their home. If we were reading your book choice for the month, you were also the host of the book club meeting. 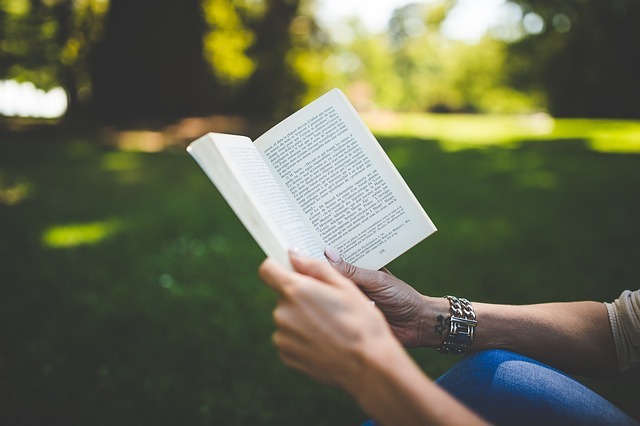 Don’t feel any pressure to use this method though, you can comfortably host a book club at your local library or even a park, restaurant, or public place. Get your thoughts together. At our book club, w decided that we were just going to have an open discussion about the book and the characters with really no end game in mind. Sometimes the questions got off topic, and sometimes we were able to really stay in the moment. What I would recommend this time is to have a list of questions prepared. Perhaps every member could bring three questions or subjects to discuss that have to deal with the theme, characters, or even the style of writing. You could also talk about the ending, the parts you didn’t like, and why. Unfortunately, life got in the way of us carrying on our book club, and we kind of let it dissolve on its own. I’d love to start one up again one day soon, and in this day and age, there are so many ways to stay connected! Think outside of the box and maybe think about hosting a Skype-based book club or a chat room book club, but most of all, have fun! September 17, 2018– Middle-grade scripts are what I’m always looking for! There seems to be an infinite black hole in my line-up of offerings for this age group. My middle-grade submissions never close, so if you’re an MG writer, please submit! You can submit your query and one-page synopsis to pandapublishing8@gmail.com. Now, let’s get inside the minds of our middle-grades, shall we? What is an MG reader? It’s a child between the ages of 8-12, and they seem to live in a world of conflict. Middle-graders love their families, and they are fiercely loyal to them, but at the same time, they crave independence. They want to fit in with friends and social groups at school, but they also want to be defined as unique, individual, and special. They want to grow up, make choices, flex their independence, but they also want to be a kid, be safe, and are emotionally not mature enough to make tough decisions when faced with them. At this age, MG’s are finding their place in the world and getting their feet wet in different situations; they don’t want to completely abandon their childhood, but they don’t want to be treated as kids all the time either. It’s truly a tough spot to be in, not only for them but also, in relating to them as a writer! Tweens are focused on themselves, but they’re also focused on how others see them. Peer opinions are super important to them. Heroes and parents aren’t perfect anymore. MG’s are starting to see them as humans with flaws and all. Things are complex at this time in their lives, and they may be experiencing things for the first time in their lives, e.g., first kiss, first time they’ve been grounded, first time they’ve been in trouble at school, first fight with parents, etc. If there is romance, make it innocent. Crushes are fine but don’t go too far beyond this. To echo the above point, keep it PG and don’t go all the way to Young Adult writing with edgy themes and romantic scenes. There is a very LARGE line in the sand on this one. Keep it clean because the edgier you make your novel, the less chance it has to enter school libraries and conservative households. Now you know! Here’s to your success. One of my most fave middle-grade novel series! 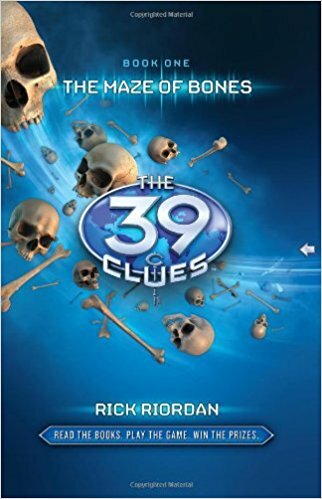 39 Clues- Check them out today!